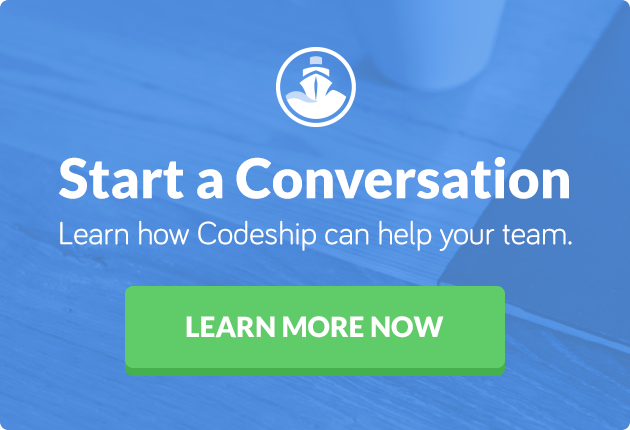 Codeship has already built the simplest cloud-based CI/CD tool with our Basic product, as well as the most powerful and flexible tool with our Pro product — but up until now, we’ve held off on supporting the Enterprise market. The reason we’ve waited a while to do this is that we wanted to make sure we do it in a way that provides unique value, and we think we’ve done that. Starting today, if you’re running GitHub Enterprise, you can now connect your account and get started running CI/CD builds in the cloud! Read the documentation to learn how to connect GitHub Enterprise or get in touch if you want to ask questions or schedule a product demo! The way we’ve built our GitHub Enterprise support is a little bit different than typical on-premise SCM integrations, because we decided to embrace the hybrid. When you use GitHub Enterprise on Codeship, you will be running your builds in the cloud, on our build machines, while hosting your code on your private GitHub instance. We took this hybrid approach, rather than the more typical Codeship on-prem approach, because we believe it lets you maximize value on both ends. We have a lot of great security design — from private, single-tenant build machines to never storing your code — to make running builds on our cloud safe even if you have security or organization needs for on-prem source control. By doing it this way, you can support your organization’s security policies without taking on any of the overhead of managing CI/CD servers or a locally installed Codeship — essentially, the same value cloud services always provide but with the flexibility to support more enterprise-level workflows with private source control. Restricted IP ranges: We’ll soon be rolling out the ability to restrict the IPs your cloud build machines run on to just a small handful. In both your GitHub Enterprise setup as well as your on-prem or private cloud deployments, you can whitelist a very small amount of IPs rather than the entire AWS us-east-1 region, as we currently require. Two-factor auth: This is often requested and is coming soon! You will be able to enforce two-factor verification on all accounts, whether connected via email or via oAuth with any of our cloud SCM integrations. Granular Permissions: In addition to our current team management and role-based permission system, we’ll be adding the ability to assign very granular permissions to individual teams and members to better control who can trigger and propagate pipelines to the next stages. Enterprise Support: We pride ourselves on the high-quality support we guarantee to all customers, and that’s not going to change. We think it’s one of the things we do best. But if your team needs the security of knowing you can get guaranteed faster responses at all hours or have phone support available on-demand, we have enterprise-level support packages available. Get in touch with our sales team if you’d like to know more. This is not everything we’re working on, so keep your eyes open as we begin to release work over the next few months. And contact us if you’re interested in trying anything out or have any questions! If you want to try Codeship out with GitHub Enterprise, just sign up today and follow the documentation to quickly add your personal access token and start running builds. If you want a product demo, access to an upcoming feature beta as mentioned above, or to have a conversation with a support engineer or discuss pricing, just get in touch!